Over the past few weeks at Mass, we have been reading from the prophet Isaiah. He reminds the people that while they are the chosen race, from the beginning, God desired the unity of all peoples. While humanity is divided by culture, heritage and language, God created us to be one human family, one race — the human race. This reminder of our fundamental unity as a people could not come at a more necessary time as our nation continues to roil from the violence and hatred displayed by white supremacists in Charlottesville, Virginia, and beyond. Racism is our country’s original sin, a wound that forever requires tending. There can be no equivocating. Racism is a sin. White supremacy is a sin. Neo-Nazism is a sin. We know this. Yet here we are in 2017 mourning the death of Heather Heyer, killed by a vehicle driven into a group of people in Charlottesville protesting hate. Here we are mourning the deaths of two Virginia state troopers, Berke Bates and Jay Cullen, whose helicopter went down while monitoring the chaos. How many of our young people went to war to fight the ideology of hate we know as Nazism? How many sacrificed and toiled to support the effort to resist that evil? We call them the Greatest Generation. What will this generation be called? Of course, we find easy excuses to live in tribal ways. Focus on our differences and the aspects we find objectionable or even threatening to our way of life. We exclude the other, hold fast to the comfort of the familiar. As a result tensions and divisions arise, hostilities erupt and hatred paralyzes society into hopelessness. The Gospel texts that have accompanied the Hebrew Scriptures in our worship recently challenge us to search for what we share in common with others. Take, for example, the story of the Canaanite woman who begged Jesus to cure her possessed daughter. The followers of Jesus ask him to discard her, to separate her from them as an alien. She was pagan, after all, and belonged to a tribe known for being superstitious and for their historical hostility to the Jewish people. When Jesus dismisses her request by ignoring her, she persists, repeatedly insisting that Jesus heal her suffering child. Yet Jesus saw something in her the disciples missed: her great faith and her great love for her daughter. This is clear from her willingness to humiliate herself by making repeated requests of Jesus. She also seems to have a good sense of humor to respond to Jesus’ remark about not giving the food of the children to dogs: “Please, Lord, for even the dogs eat the scraps that fall from the table of their masters.” Jesus then stuns his disciples and the onlookers by calling her a woman of great faith. I wonder what Peter thought about that, especially after he was chastised for his little faith, failing to trust in Jesus who called him to walk toward him over the stormy waters. When we come across people who are different from ourselves, too often we are tempted to look for those things that validate our fears and our prejudices, convincing ourselves that we are justified in excluding them from our group, our tribe, our family. It has been observed that when mining for gold tons of dirt and rock have to be cleared away to find an ounce of gold. Miners don’t go into the mine looking for dirt; they go in to find the gold. The Gospels in these summer weeks provide us with the timely message that instead of looking for the dirt, we should get about the task of looking for the gold in each person, thereby treasuring the differences among us as gifts that enrich us all. As bearers of God’s image, all of us share in the responsibility of breaking that cycle, and that work must begin now. 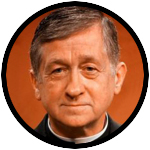 Cardinal Cupich is the archbishop of Chicago. This column originally appeared in the Aug. 27 edition of the Chicago Catholic, the archdiocesan newspaper.